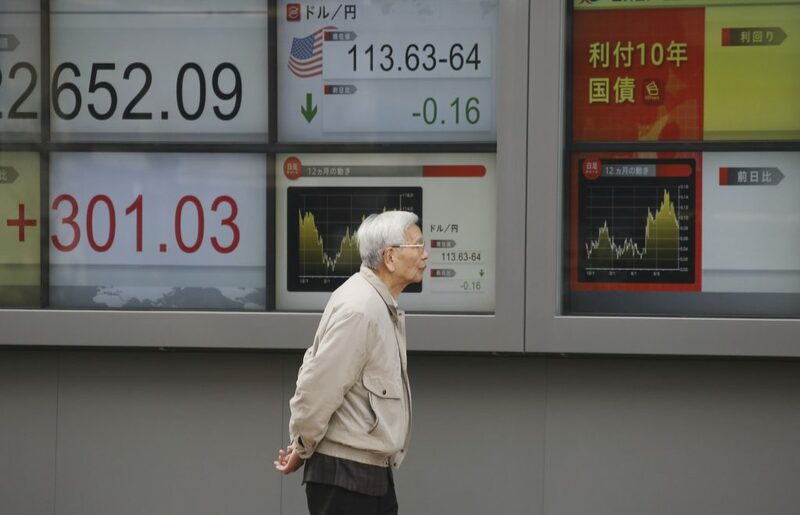 China stocks surged and the yuan posted its best gain in nearly three years on Monday after Chinese and U.S. leaders agreed to a temporary truce in their trade war, but the long-term outlook for trade relations and Chinese markets remains murky. The deal between Presidents Donald Trump and Xi Jinping postponed the most pressing threat to the global and Chinese economies – a sharp hike in U.S. tariffs that had been slated for Jan. 1. But analysts cautioned that it has only bought three more months for wrangling over deeply divisive trade and policy issues, and predicted China‘s economy will continue to cool regardless under the weight of faltering domestic demand. Still, the news offered some relief for the country’s battered stock markets, which had tumbled over 20 percent at one point this year, prompting a flurry of support measures. The benchmark Shanghai Composite index closed 2.6-percent higher at 2,654.80 points and the blue-chip CSI300 index jumped 2.8 percent. In Hong Kong, the Hang Seng index closed 2.6-percent higher at 27,182.04, also its best day in a month. The index for Chinese companies listed in Hong Kong rose 2.5 percent. “This is a relief rally. The markets are oversold. I don’t think we needed much of an excuse [for a rebound],” said Paul Kitney, chief equity strategist at Daiwa Capital Markets in Hong Kong. Shares in auto-parts makers with overseas operations and automobile dealers surged in the afternoon, while domestic vehicle makers trimmed gains, after Trump said on Sunday that China had agreed to “reduce and remove” tariffs on U.S. cars. The White House said Beijing had agreed to buy an unspecified but “very substantial” amount of U.S. products and said the two sides would launch new talks to address issues including technology transfer and intellectual property. But the White House also said the existing 10-percent tariffs on $200 billion worth of Chinese goods would be raised to 25 percent if no deal was reached within 90 days. The agreement was more than investors had expected, but is unlikely to spark an immediate turnaround for markets, said Zhang Gang, an analyst at China Central Securities in Shanghai. While some commentators such as Oxford Economics stressed that the truce appears fragile, the yuan currency also took heart from the suspension of the looming tariff hike and promise of more talks. The yuan rose 1.02 percent – its strongest daily gain since Feb. 15, 2016 – to breach the 6.89 per dollar mark and ended onshore trading session at 6.8885. It has lost nearly 6 percent so far this year as trade ties deteriorated and the U.S. dollar firmed, and some analysts had forecast it would slide further if the trade war escalated. The offshore yuan also breached 6.89 per dollar. “Such positive sentiment won’t fade very soon … [the 90-day] period is not short, it’s long enough to soothe market sentiment,” said a trader at a foreign bank in Shanghai. Ken Cheung, senior Asia FX strategist at Mizuho Bank in Hong Kong, was less optimistic. “The gap between China and the U.S. … remains quite wide, and it is very difficult for them to reach a comprehensive deal in 90 days,” Cheung said. Chinese 10-year Treasury futures for March delivery had fallen in the morning session as shares rallied but were last up 0.13 percent at 96.825. A Shanghai-based trader said a stronger yuan and easing trade tensions gave authorities more flexibility to manage the slowing economy. “If the CNY does not depreciate, the PBOC has more room for easing,” he said, referring to reduced risks of capital outflows. But other analysts said the deal could prompt investors to scale back expectations of further policy easing by Beijing in the medium-term. Speculation had been swirling in recent weeks that authorities may be considering stronger stimulus measures if trade pressures intensified. Commodities also rallied on hopes of thawing relations. Prices of Chinese steel products and steel-making ingredients soared more than 6 percent. “We are expecting China to buy more LNG, LPG, corn and soybean to step up imports from U.S,” said Michael Mao, energy analyst with consultancy China Sublime Information Group. But some analysts cautioned about reading too much into Monday’s rally. “The fundamentals haven’t changed,” said Ben Kwong, director of research at KGI Asia in Hong Kong.